Since scoring on his professional debut in a League Cup match in 2013, Josh Murphy has continued to flourish at Carrow Road and this season he's really taking centre stage. 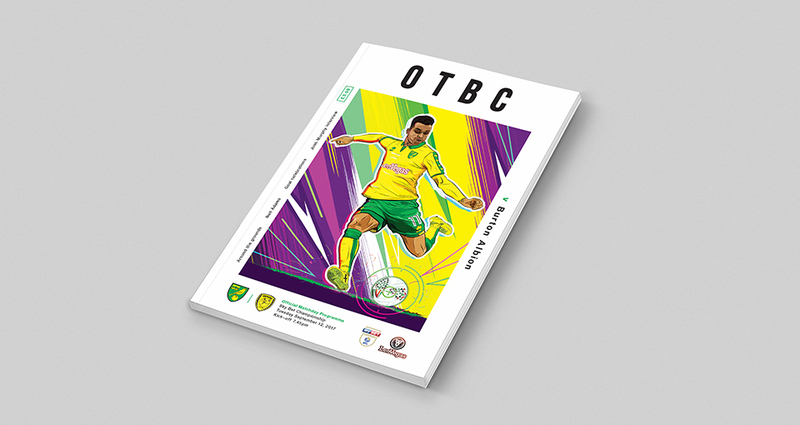 The early signs are looking good for Josh with several impressive performances for the Canaries, leading us to select him as the focal point of this programme cover. 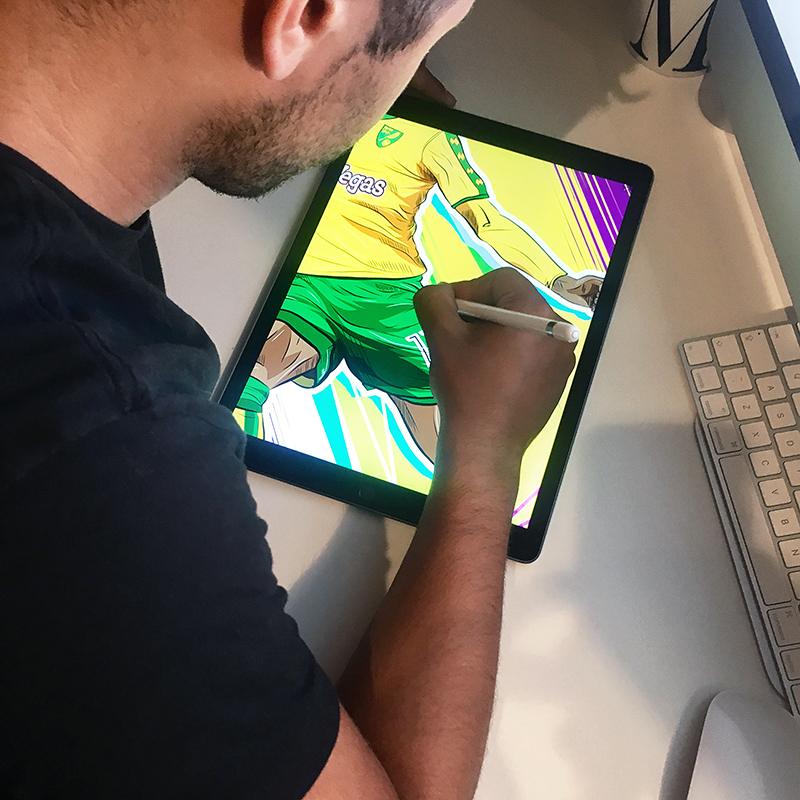 The player has been digitally illustrated by Croydon based artist Massimo Gangemi who is a new contributor to Patterns of Play and we think his dynamic artwork appropriately portrays the skill, energy and speed associated with City's latest rising star. 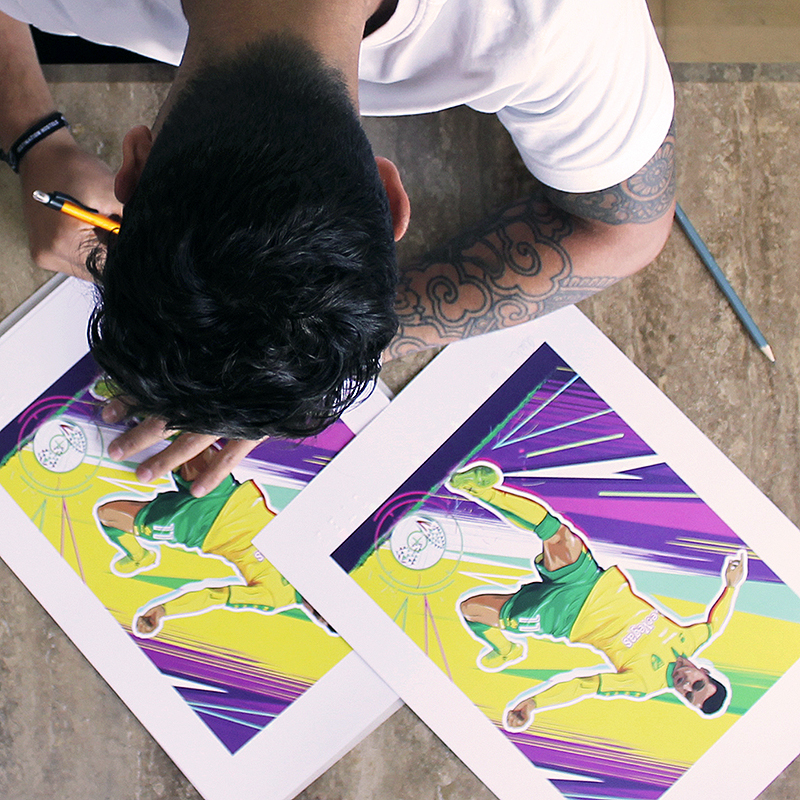 "My illustrations utilise strong, bright and complimentary colours. I want people to feel the electrifying style of play and speed the players put on show for us. The beauty of design is the freedom to create individual identities, unique for every piece. Josh Murphy is a fast and exciting player and I wanted to ensure that this was reflected in this artwork. I hope you all enjoy it as much as I enjoyed creating it!"